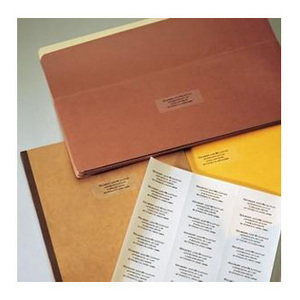 Find mailing labels in the size and style you need right here – one, two, four or six per sheet. Print labels using a free template and laser or inkjet printer. It's quick, easy and produces consistent, professional results. 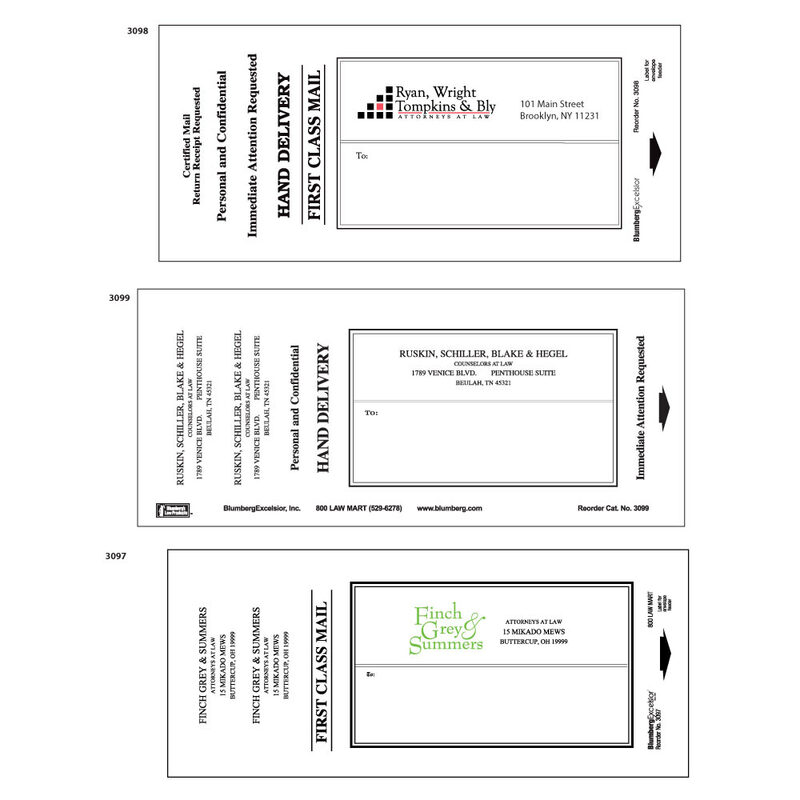 Make an even stronger connection with your clients using labels imprinted with your firm's logo and return address. Order mailing labels with a full color digital imprint and Blumberg will design a Logo Classic for your firm for free. Regular price $69.00. Moreover, the mailing labels discount of either 10% or 15% applies to the regular color imprint prices: $12.50/300, $15.00/600, and $20.00/1200 or 2400, plus $31.50 for printing color logo. Click here to see law firm Logo Classics.